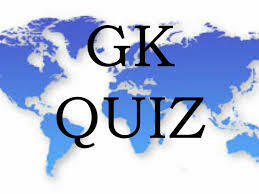 General Knowledge questions on Indian GK for Bank PO, IBPS, Bank Clerical And Indian GK For Railway GroupD,RPF,Rajasthan Police SI 12-09-2018 questions for bank exams, very important computer-related questions for Bank PO, SBI PO, IBPS,RAS, IAS, UPSC, RPSC, 1st, 2nd, 3rd Grade Teacher, REET CTET, LDC, SSC CGL, IBPS, MBA, CAT, MAT, SBI-PO, RBI And Railway, Indian Army And all competitive Exams, and Most expected Computer Question Papers with answers. These Questions are most commonly asked in Other Banking Exam And All subject Wise Notes and Math, Hindi, English, History, Political Science, Psychology, Sanskrit Related Study material. Question(1) The Hirakud Project is located in which state and on which river? `हीराकुड परियोजना ’ किस राज्य में तथा किस नदी पर स्थित है ? Question(2) What is the capital of Rwanda? ‘ रवाण्डा ‘ की राजधानी क्या है ? Question(3) Which mountain range Mount Estan is located? माउन्ट एटना ‘ किस पवॅतमाला में स्थित है ? Question(4) Australia is situated on the banks of which river? आस्ट्रेलिया किस नदी के किनारे बसा है? ग्रीनलैंड की खोज किसने की थी ? Question(6) Which is the highest waterfall? सबसे ऊँचा जलप्रपात कौन-सा है? Question(7) Dodoma ‘is the capital of which country? ‘ डोडोमा ‘ किस देश की राजधानी है ? Question(8) What is the capital of ‘Uganda’? ‘ युगाण्डा ‘ की राजधानी क्या है ? Question(9) Which day is the distance from the earth to the Sun? किस दिन पृथ्वी से सूर्य की दूरी न्यूनतम होती है ? Question(10) -1 ° The longest distance – is the minimum? -1° देशांतर की सबसे अधिक दूरी- न्यूनतम होती है ?